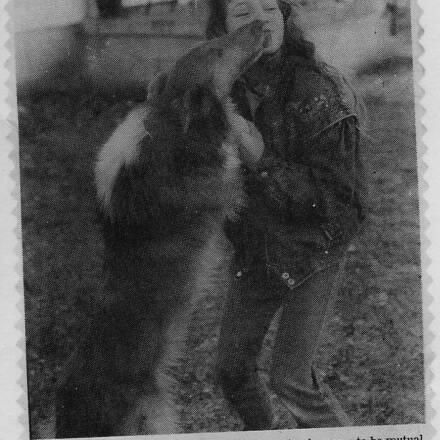 My Passion, and My Commitment. "Raising puppies is my passion, not my business, all my puppies are sold to only loving families. 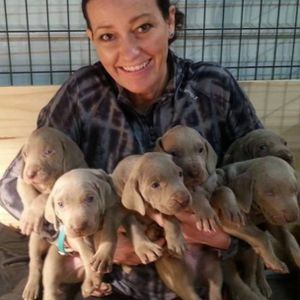 The focus of my breeding program is to breed for quality not quantity." 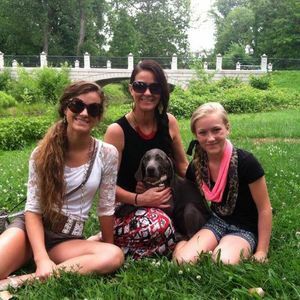 Miller's Kennel is a family run, licensed facility located in Buncombe, Illinois. 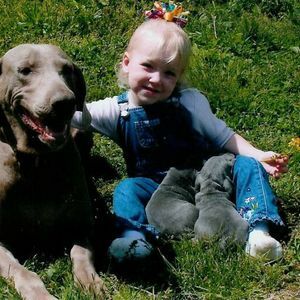 Since we began in 1995, we have been extremely committed to persevering the standards and health of the Weimaraner breed. 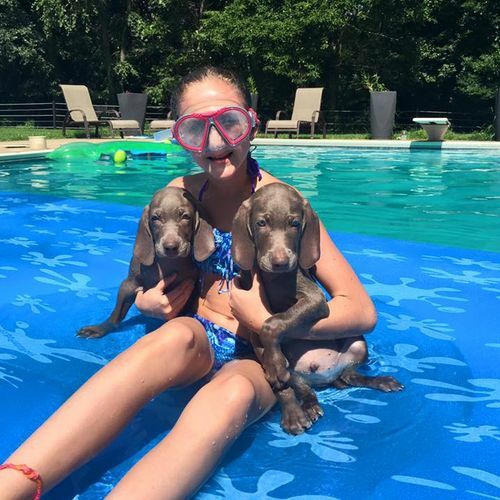 In the process we have been blessed to help bring into the world healthy, happy, AKC registered puppies with a wonderful temperament. 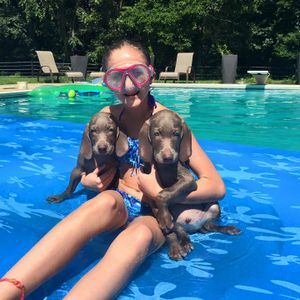 Our puppies and parents enjoy exercising and exploring our large 30 acre farm and take advantage of the freedom of country living. 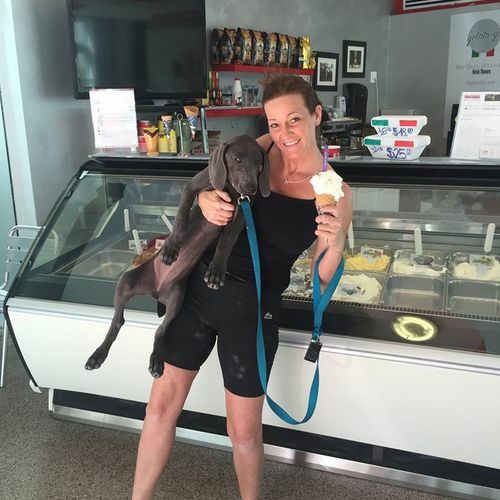 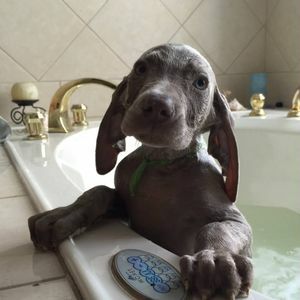 When they are not lounging in our home or swimming in the pool or lake, our puppies and their parents, hang out in our clean, heated, and cooled facilities where they may come and go as they please. 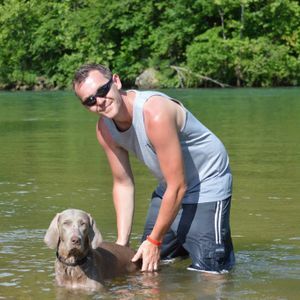 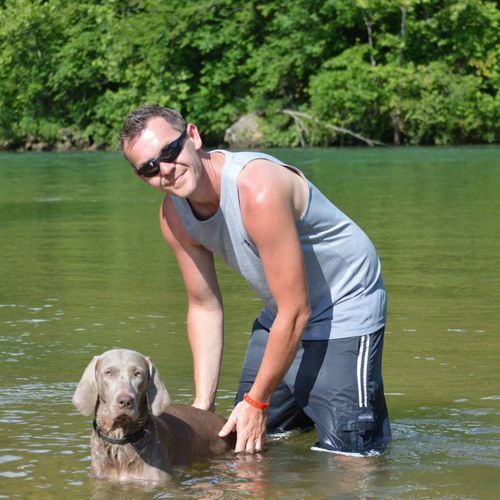 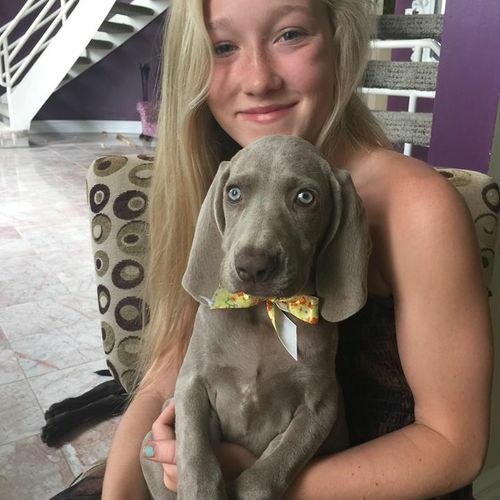 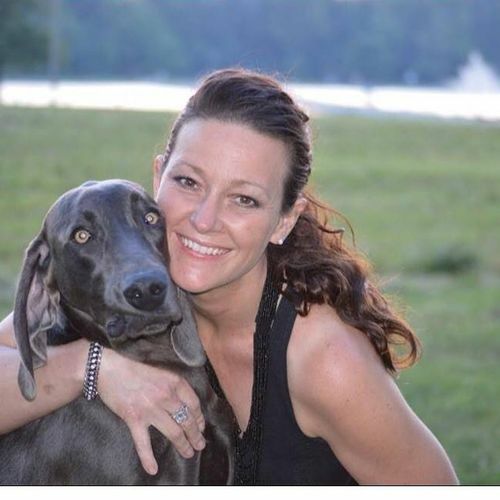 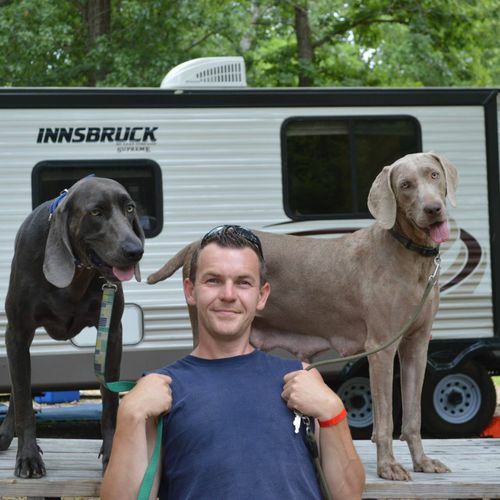 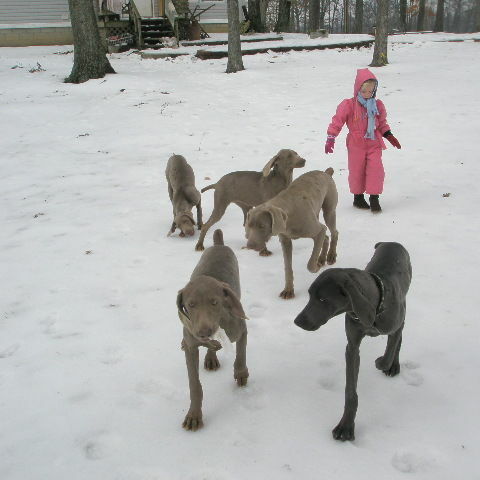 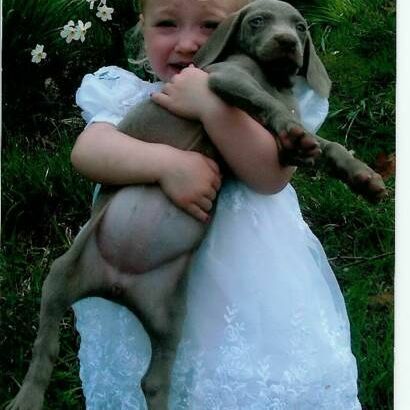 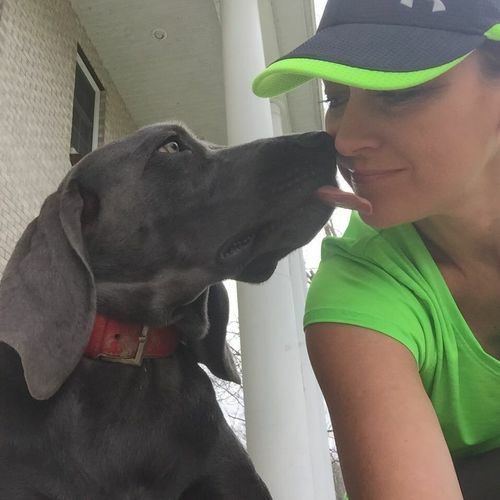 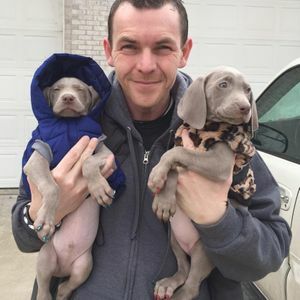 Weimaraners are a part of our family and they are loved and socialized daily. 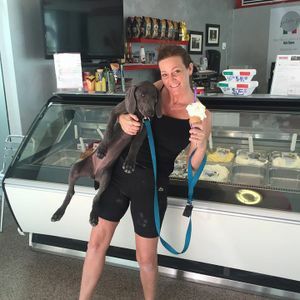 "We are not a pet store or part of another company. My puppies/dogs are raised in a caring and safe environment. We are inspected regularly by the Illinois Department of Agriculture and American Kennel Club, always passing inspections by 100%. 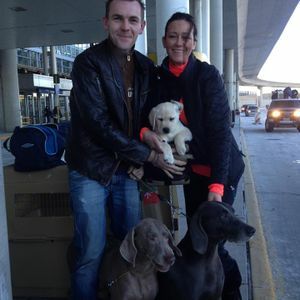 When a dog/puppy becomes a Miller family member they have a home with us until the right family/home is found. I have mothers/fathers, grandmothers/grandfathers, great grandmothers/grandfathers still living with me long after they have retired. 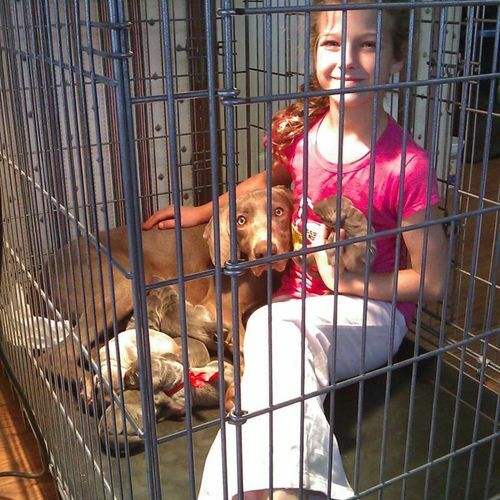 Our bright and clean kennel facility, designed by me over many years, keeps adults and puppies comfortable at all times. 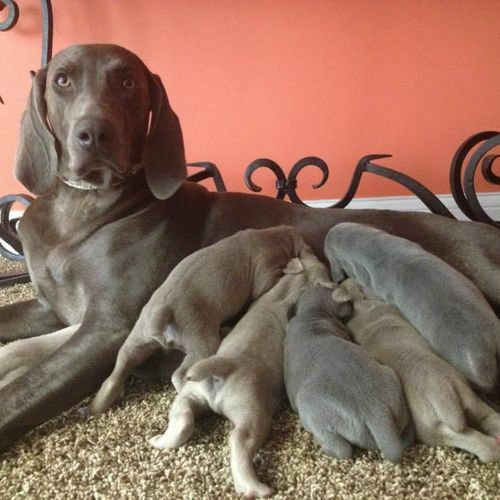 However most the time my home is where all my puppies are raised. You are more likely to find my dogs sleeping in our beds, swimming in the pond or our pool instead of theirs, or one of my daughters setting up a nursery in her room for a new litter." I look forward to helping you find your new family companion! Please don't hesitate to call or email if you have any questions or are ready to come visit us!